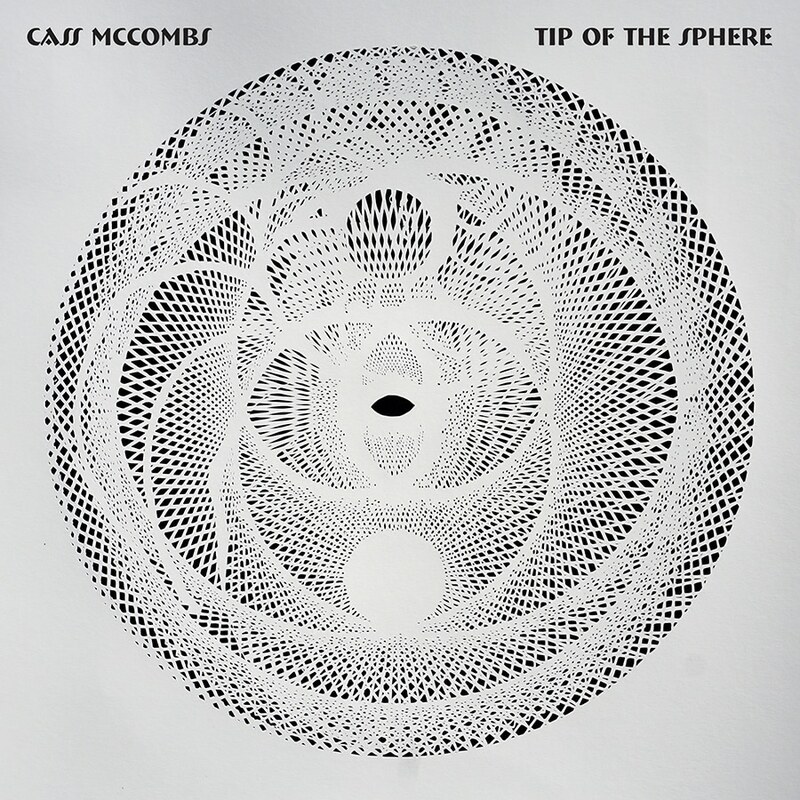 Just when you think you’ve figured out Cass McCombs, he confounds your expectations by throwing a curve. Ultimately, it’s that sense of surprise that makes his music so interesting. Even though the indie singer/songwriter’s output has been prolific (he delivered two full discs in 2011), the nearly three year break between this — his ninth — and 2016’s well-received Mangy Love, is his longest between releases. On initial listen, Tip of the Sphere feels like a logical successor to Mangy Love. Little has changed in McCombs’ easy flowing, some might say laconic, songs and everyman talk-sung voice. As usual, his lyrics range from impressionistic to impossibly enigmatic. Opening track “I Followed the River South to What” never uses that phrase in the body of the song. And with chin-scratching couplets like “Are you ashamed to beg, your youth in full power?/Power corrupts! I’m building a cinnamon tower” we are firmly in McCombs’ territory. But the music is so smooth, lush and inviting with its cyclical guitar figure, Grateful Dead styled bass line (courtesy of Dan Horne, this disc’s secret weapon who is also credited with the mix), and subtly urgent drums, that you just go with the flow for 7 ½ minutes. The relatively upbeat pop of “The Great Train Robbery” is the most accessible moment. Sounding like a Steve Miller B-side it tells the titular story but in true McCombs tradition the tale shifts from a train to a boat, and the resolution is unclear. Elsewhere the intriguingly named “Sidewalk Bop after Suicide” sets up a feeling where words such as “I’ve bled, puked and cried here/And dreamt I was dead” mesh with the slow, somewhat ominous guitar chords and creepy synthesizers that underlie the music. Pedal steel infuses an off-center, understated country vibe to some cuts like the dreamy “Prayer for Another Day.” Here the “magic mirror” referred to is reflected in music that floats on a bed of acoustic guitar and McCombs’ usual deadpan voice inviting the listener into his Black Mirror world. The mood gets decidedly darker and more nightmarish on “American Canyon Sutre,” the only time McCombs overdubs all the instruments, where he mostly speaks the lyrics about our crumbling country’s social infrastructure. There are elements of Van Morrison’s more experimental work on the soft “Tying Up Loose Ends” as McCombs shifts into falsetto and adds Jerry Garcia-styled guitar, Moog and sax to the softly rolling music. But just when you think you have him figured out, the closing 10 minute-plus “Rounder” featuring the quizzical “Were a radio gunslung/Were a murdream boysroom/On a slight jadeself” pushes outside of even McComb’s most oblique concepts. The sweet, unassuming tune evolves into a sort of “Riders on the Storm” groove complete with a luscious electric piano and pedal steel solo. The production, arrangements and overall audio are beautifully crafted, McCombs’ askew concepts are, well … intriguing, and this hour long album is another impressive notch in the belt of a talented artist whose unusual, often offbeat approach is what makes him so distinctive, entrancing and appealing.